Due to popular demand we've brought in Grey Pipe Rosettes. 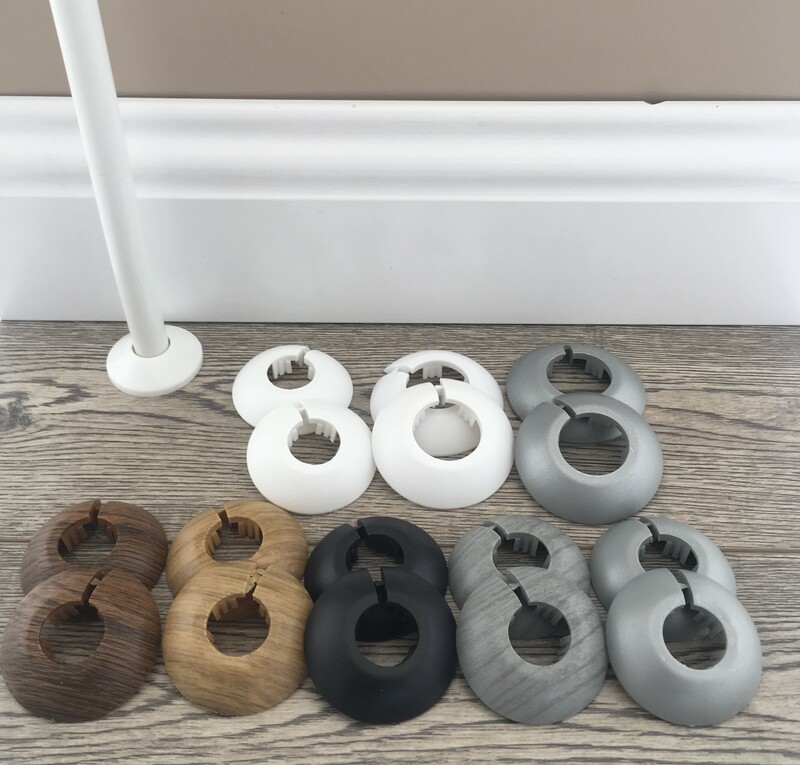 Available in the standard "Grey" colour and also in wood-grain "Loft Oak", these pipe collars look great against grey flooring. Also, we now stock some of more popular colours in 22mm & 28mm for those bigger pipes.